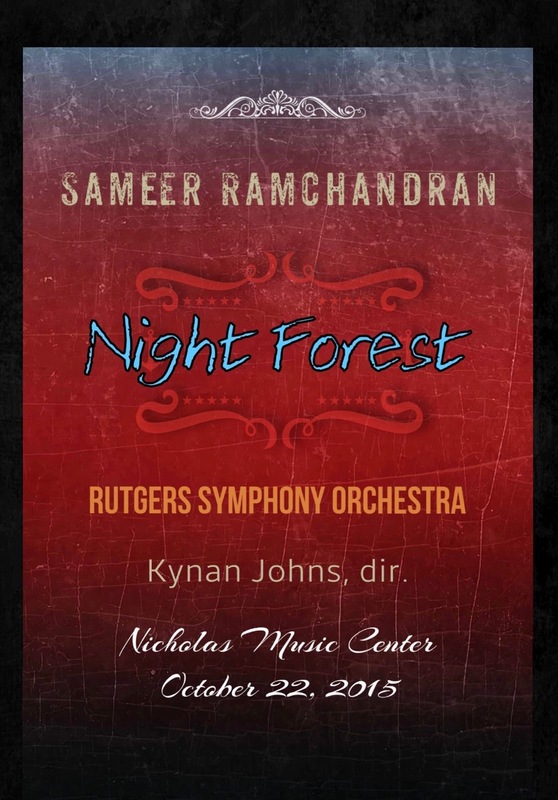 Performance History: Reading by the Rutgers Symphony Orchestra, Nicholas Music Center, New Brunswick NJ, October 22, 2015, Kynan Johns, dir. Program Note: Night Forest was inspired by the various European tone poems and works for dance written in the late nineteenth and early twentieth centuries. As a manner of tone poem itself, it tries to inspire notions of storytelling without telling a particular tale in itself. By referencing film music and opera in a broad, schematic sense, there is the hope that it projects various fervent, but ambiguous, feelings of narrative and adventure. The work is formed through three separate and connected sections, where each section built around various contrasting melodic ideas.